Fred’s son Jamie became assistant winemaker in the summer of 2002. In 2006, after moving from the tiny red barn on Lytton Springs to Timber Crest Farms, Jamie was given the overall responsibilities as winemaker. As a winegrowing team, Fred and Jamie assess the grapes from each vineyard and vintage as the season progresses, evaluating how the weather, soil and site are interacting for the particular vintage. At Peterson winery, the winemaking process begins while the grapes are still on the vines. Zero Manipulation is a discipline the Petersons follow to capture the character and balance of inherent in the grapes. Zero Manipulation means using the most gentle, traditional winemaking practices possible to maximize the flavors, aromatics and texture of the wines. Fred and Jamie celebrate vintage differences and don’t tweak or homogenize the wine to obtain consistency of flavors, a common practice in mass-market wineries. For Fred and Jamie, Peterson Winery is all about the wines. But if you look a little deeper, you’ll see the heart and soul that goes into every bottle. At Peterson, our wines are made in the vineyard. 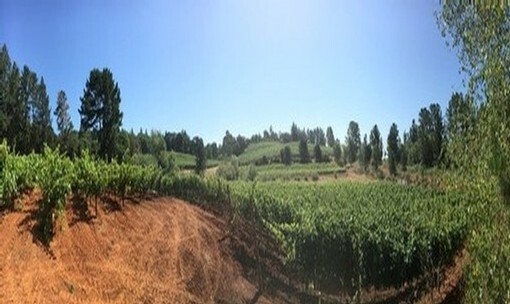 In addition to sourcing fruit from local farmer friends, we grow 14 varietals on our Bradford Mountain Estate Vineyard. 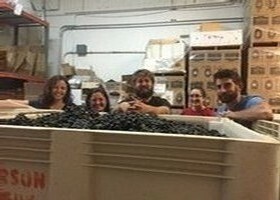 Peterson is a truly family owned and operated winery, one of the few remaining. From the growing of the grapes, to the time in the cellar, to the education of our wines to our drinkers, there is a Peterson every step of the way.